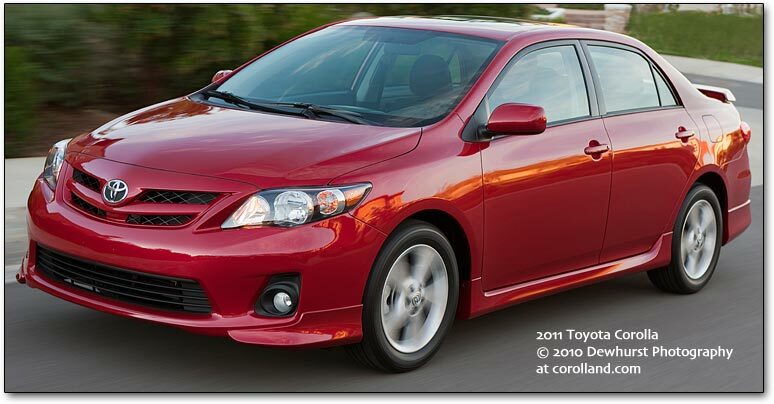 What is the Toyota Corolla? The Toyota Corolla is the best selling car in the world (counting all years), and no wonder. It offers peppy acceleration, agile handling, excellent fuel economy, and a smooth, comfortable ride. For most people, the Corolla is about as good as it needs to get. There were actually several Corollas sold throughout the world starting in 2012. The old hatchback model, also known as the Scion iM and Corolla iM, was aimed at European buyers, and is on a platform used with other European Corollas. Likewise, Japanese buyers have their own particular Corolla; North America and China share a third. At least, that was true until the phase-in of the “TNGA” platform, starting with the 2019 cars. The plan is to unify every Corolla in the world on a single platform once again — though it means hiking prices in Japan. Beginning in 1997, all Toyota Corollas for U.S. sale were built in the United States and Canada - a far cry from Toyota's first days in the United States, when quick-to-rust, underpowered Coronas were brought in exclusively from Japan. One of the first “joint venture” plants, called NUMMI, was opened in California - using a former General Motors factory. The webmaster's 1976 Camaro, long gone now, was a testament to that plant’s poor quality. Under Toyota's management - featuring empowerment and continuous improvement - the plant quickly became one of the best in the world (though, as a separate business unit, it was shut down to avoid paying out workers’ pensions). There are few Corolla problems that can be attributed to assembly rather than parts. Starting in 2019, Corollas formerly made in Toronto will be made in Kentucky. See the sidebar on the left hand side of this page for links to our various sections - the Corolla forum, specs, performance tips, etc.